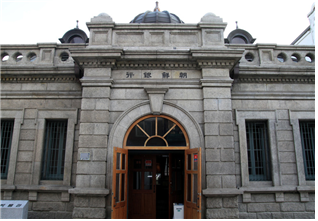 Incheon Open Port Museum is a museum that exhibits images of Korea after opening their port. The building was used as the primary bank of Japan in the Japanese’ colony era, Japan had built it to invade Korea’s economy. This is registered as an 7th important tangible cultural property. The exhibit hall is divided into four. The 1st exhibit hall exhibits modern items which was imported through Incheon port, and the 2nd exhibit hall introduces Korea’s first railroad, Gyeongin[Seoul-Incheon] Line. The 3rd exhibit hall shows the images of Incheon after opening the port, and there are contents of Incheon transition institution and financial institution in the 4th exhibit hall.